Below you will find VITEEE 2019 Result. Soon after the completion of the entrance exam, the official authority will announce the result for the students. It indicates student’s performance in the entrance in the terms of marks obtained in the same. It will be available in the online mode and will be available here soon. 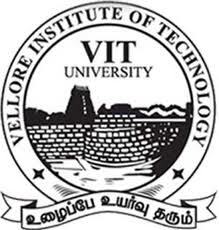 VIT engineering entrance exam is one of the leading entrance tests in the country. The competition is very high as a large number of students take this exam every year. • The result will be announced in the response to the entrance exam conducted by the VIT University. • An every care is taken while preparing the result and hence, the announced result shall be binding. • Based on the declared VITEEE Result 2019, the merit list shall be formed by the official authority for the qualified students. • The students will have to just click on the link which will be available here soon and reach the destination page easily and quickly. • Thereafter, the students need to add the essential details asked in the online form which will be loaded on the screen. • On furnishing these details in the form, the students will be able to view their copy of result on the display screen. • It is advisable that the student need to save the result by downloading the same and keep the downloaded copy safe and secure for the future reference. • Basically, this is the statistical process which is used to adjust the marks on the test forms so that this can be used interchangeably. • Also, it is done in order to facilitate the meaningful and accurate comparision for the merit list and the ranking of the candidates. • The students are advised not to make any assumptions of their score or rank based on their estimation of the raw scores. • This methodology is used by the official authority so as to identify the percentile rank of the student. • Thus, the percentile rank is unique and invariant position of the test taker in that group. • Based on the equating methodology and the announced VITEEE Score Card 2019, the merit list shall be formed and published by the authority. • It basically includes on the names and other details of the qualified students. • Only those students who get the place in the merit list will be called for the further rounds of admission. • The students can check and download the merit list soon after its availability.